Hi Guys! So todays post is a general life post showing you all what I got up to over the weekend. I had such a great time and got so many nice pictures that I thought it would be a shame not to share them. 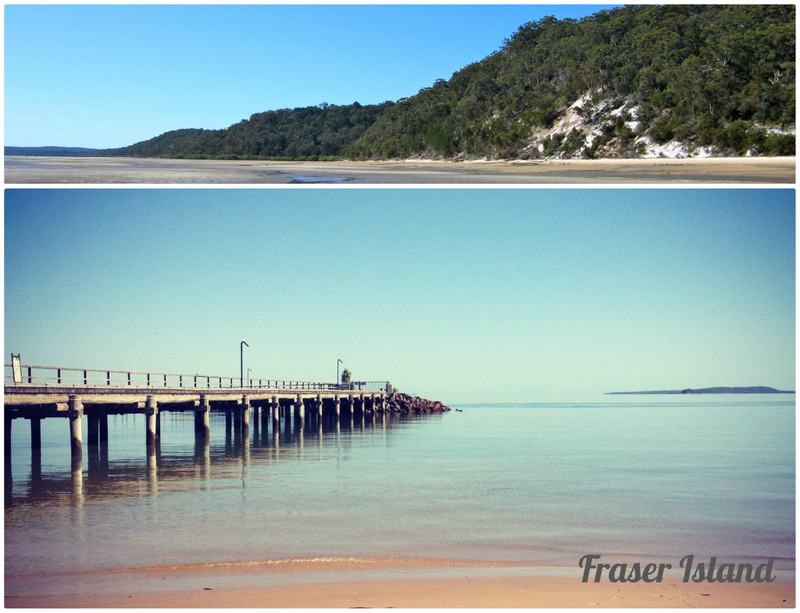 My weekend started on Thursday when my dad invited my boyfriend and I over to Fraser Island for the day. If you've never heard of Fraser Island before, it is one of the most beautiful places in the world. It is basically a huge sand island and the beaches/resorts on the island are stunning. As my dad sometimes goes over there with work he said we could join him on the barge across for a free day trip. Obviously I wasn't going to pass this up and me and Matt jumped at the chance. When we arrived at the island we had a mooch around the shops, and then hit the beach (pictured above). It was a gorgeous sunny day so we sunbathed and napped on the beach until lunch time when we went to one of the resorts Kingfisher Bay for some lunch. 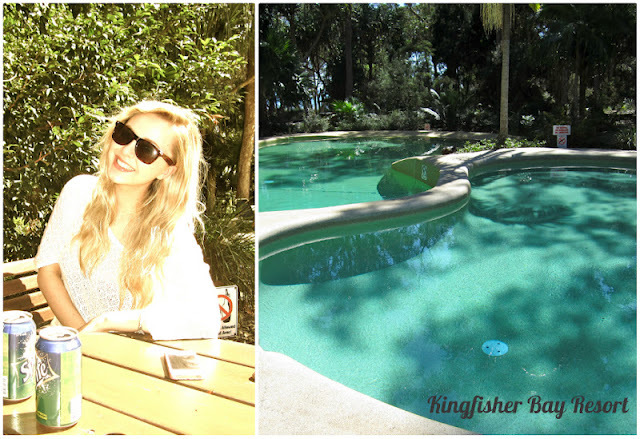 It was pure luxury at the resort - palm trees, swimming pools and great food. I had grilled Barramundi, lemon butter, chips and salad for my lunch - Delicious! We then went back to the beach to see that the tied had gone in. The beach now looked like a mud bath so being the mature pair that we are, we decided to have a play around in the mud and chase crabs across the beach. There was absolutely hundreds of them and whenever we got too close they would bury themselves in the sand. You may think it sounds gross but it was probably the highlight of my day. I got some hilarious video evidence too - if only I was on Youtube. Anyway, thats just a small round up of our day. 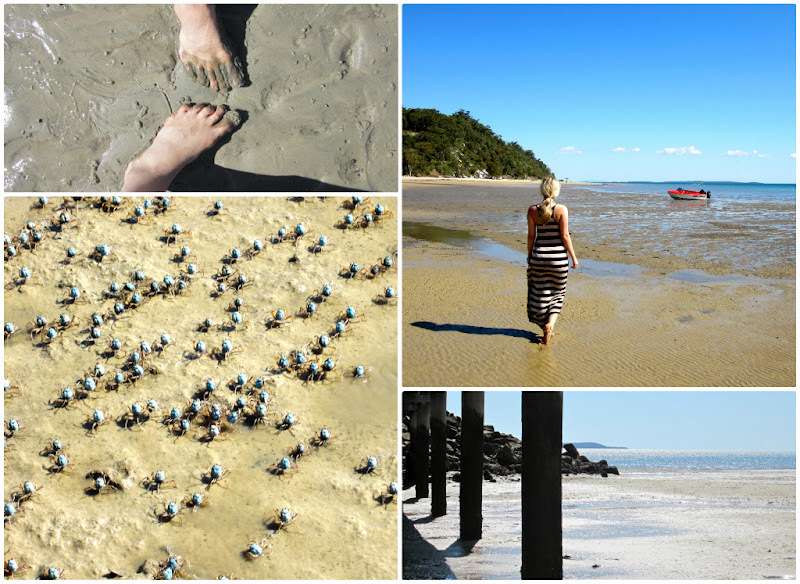 It was muchos fun and I would totally recommend Fraser Island to anyone if you live in Australia or are planning a visit. 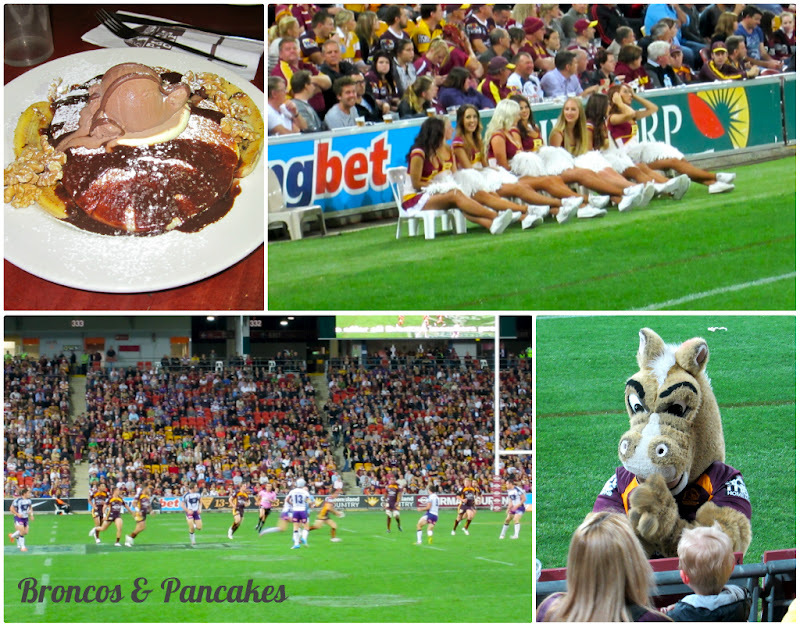 On Friday me and my family travelled down to Brisbane to watch the Broncos play at the Suncorp Stadium. To be honest, I'm not a huge sports fan so it was mainly for my dad and boyfriend but I enjoyed it none the less. My litter brother was hilarious, he kept pointing at the cheerleaders saying 'I like them girls, they've got bums and boobies!' which made me giggle to say the least haha. After the game we went to a 24-hour pancake parlour that had every type of pancakes imaginable. I just went plain with syrup but check out that chocolatey plate of yumminess my boyfriend had. After that we went back to our hotel as we were all shattered. Our hotel was slap bang in the city centre and the views were out of this world. They were over looking the whole city and it was so lovely to look out on the balcony and watch the world pass by. On Saturday we got up early and popped into the city centre for a bit of shopping. I got a few bits and bobs which I will be posting about soon so keep a look out for that. 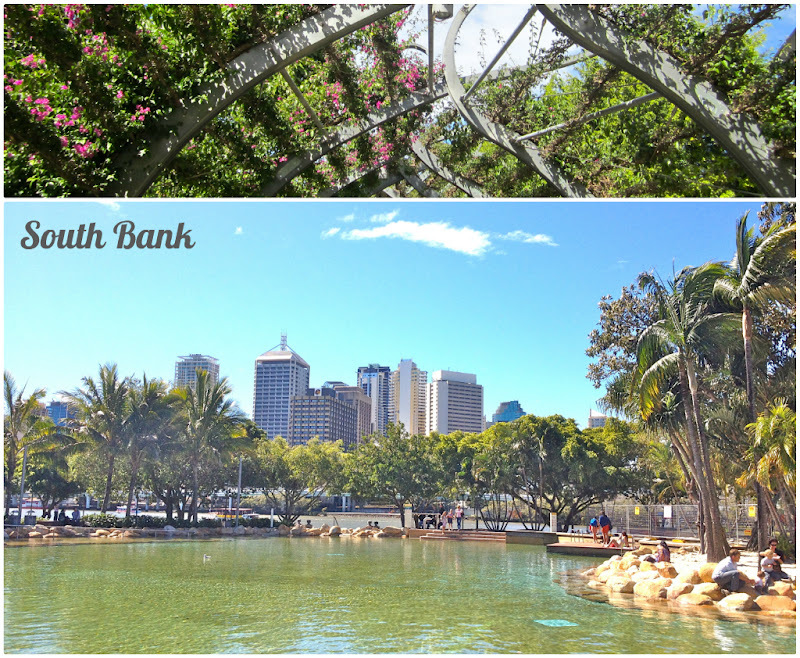 After we had some breakfast and a stroll around the shops, we decided to have a wander to South Bank. On our way we came across a man with his dog doing a live street show. There was quite the crowd gathering around so we decided to stop and have a watch. Oh my goodness, it was so funny and my brother even got picked from the audience to be part of the act. 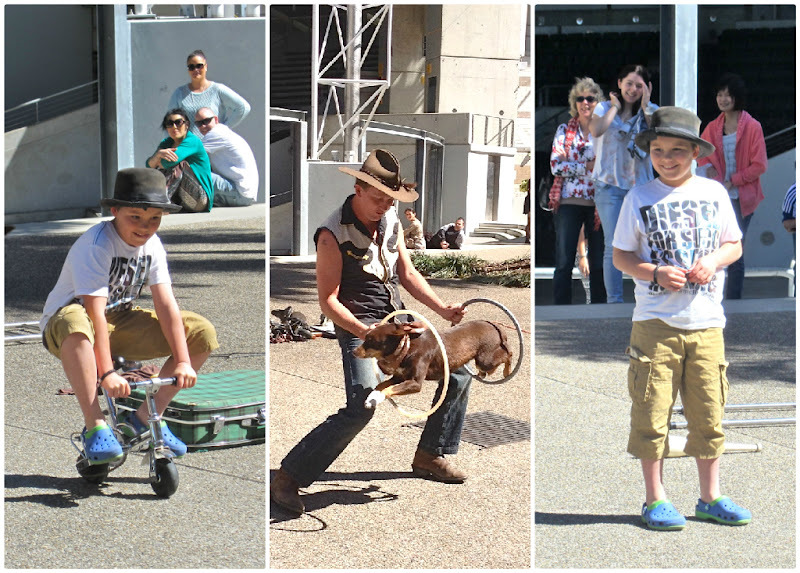 It was one of the funniest things I have seen in a long time, the guy had brilliant banter and his dog was crazy. It was jumping through rings, sitting on his head and performing all sorts of crazy tricks. My brother was hilarious too as he had to ride around on this teeny tiny silver bike. We were all howling as he kept falling off and the man was really winding him up. He was such a good sport though and we were all so proud of him for getting up there in front of all those people. When we finally got down to South Bank, as per usual, I was in awe. It is one of my favourite places in the whole world and if you have never been it is basically a tonne of man-made lagoons right by the river. As you can see on the picture above, it is absolutely gorgeous and I love the idea of having somewhere to relax like this in a busy city. They also have a man-made beach but unfortunately that was under reconstruction so I couldn't get any photos. In the evening we went out for a meal and drinks where my dad had a hilarious encounter with a hideous piece of chicken. He ordered tumeric chicken with rice and it just looked herrendous. The rest of our meals were lovely and he was left with this awful gloopy piece of crap. It seriously looked like something you would see dead on the street. It was highly amusing though and all he kept saying was 'it just isn't appealing!' in a shocked voice hahaha just the thought of it makes me chuckle! Today we went to Westfield shopping centre at Chermside to do some more shopping and then drove home. All in all, I have had an excellent three days and loved every minute of it. Lovely pictures! I'm so torn with Australia though, really want to holiday there but the bugsssss. I'd be interested to know if you've already done a blog post on what it's like living there? And about how many giant spiders and snakes you've seen so far hahaha - or if that's what they just tell the rest of the world to keep all the annoying tourists away haha! I love reading posts about what you've been up to. I'd love to live in OZ or even visit it. It looks like you had the loveliest weekend, and you look gorge in your outfits. Wow I love your photos, what a beautiful place! 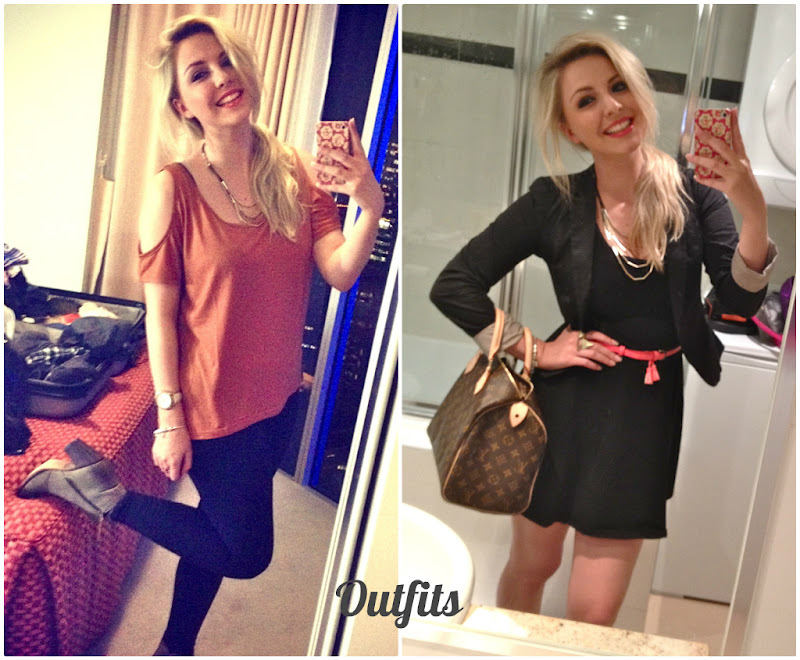 Can I also just say I love how you have mastered the are t of outfit photos using your phone - pretty dam cool !! :) And the very last photo is stunning! oh my god, this looks amazing! i coudn't be any more jealous. and all of your outfits are lovely. you remind me a bit of mollie from the saturdays, i don't know what it is but its great. Looks like an amazing time! I've only been to Brisbane once when I was younger. Would be good to go back some time! Lovely photos hun! It looks like you've had an incredible weekend. I am very jealous! Wow looks like such an amazing weekend! The scenery looks beautiful there, that first photo is like =O! Amazing! You look gorgeous in all your outfits too, love the black dress! Looks like a beautiful place, and you look gorg hunni! Sounds like an unforgettable weekend, wow. I hope to see things like this too when I'm in Australia/New-Zealand. So excited! wow it looks amazing! 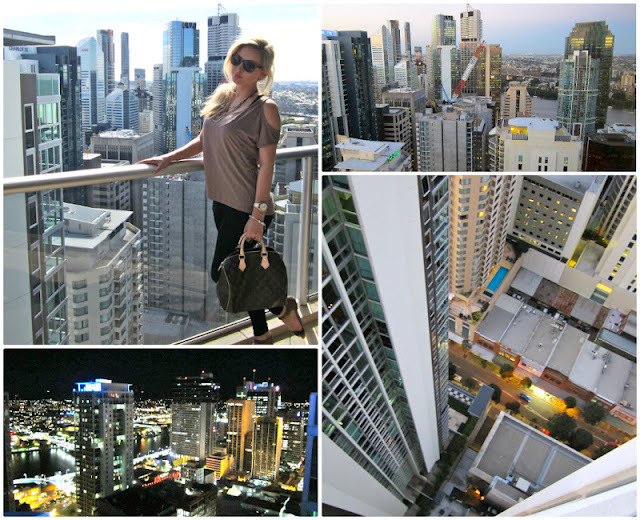 I would love to visit Australia!